Kottayam is considered to be the gateway to the highest ranges in Central Kerala, flanked by the magnificent backwater charms of the Vembanad Lake on the west and is bordered by the Himalayan hills in the east of the Western Ghats. 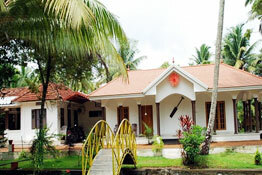 The city is famous for its rubber cultivation and is credited to have the first Malayalam printing press. The interiors of the city are dotted with large number of Hindu and Christian places of worship. Post independence Kottayam continued to be ruled under the Princely State of Travancore and hence a large number of historic monuments are spread across its parameters. As the city is visited by a large number of tourists some of these ancient monuments were converted into heritage hotels with the idea to preserve them in their old world charms. The heritage hotels in Kottayam have been renovated to cater to the needs of the modern visitors along with featuring s silent backwaters, winding canals, herbal gardens and Ayurveda health center. All the room of heritage hotel in Kottayam come fitted with all modern day amenities including TV with satellite connection, Air conditioners, telephone, private bathroom and hair dryer etc. So next time you are planning for your next vacation pick Kottayam for its enchanting and alluring beauty and surf through the HeritageHotelsofIndia which is catered to provide you with great deals and discounts.